For a bit of modern style in your bathroom, choose this beautiful vanity. With a white acrylic counter and white fiberboard base, this product is good-looking and useful. Make your bathroom look like new with this good-looking, useful set from Wyndham Collection. Use this vanity to bring more modern style into your bathroom. With a white artificial stone counter and white fiberboard base, this product is good-looking and useful. Bring a classic look and feel to your bathroom with this beautiful set from Wyndham Collection. This vanity is a great way to add modern style to your bathroom. Room is no problem with this vanity because it comes with a single-door cabinet and drawer. Put a nice touch on your bathroom's look with this vanity set from Wyndham Collection. 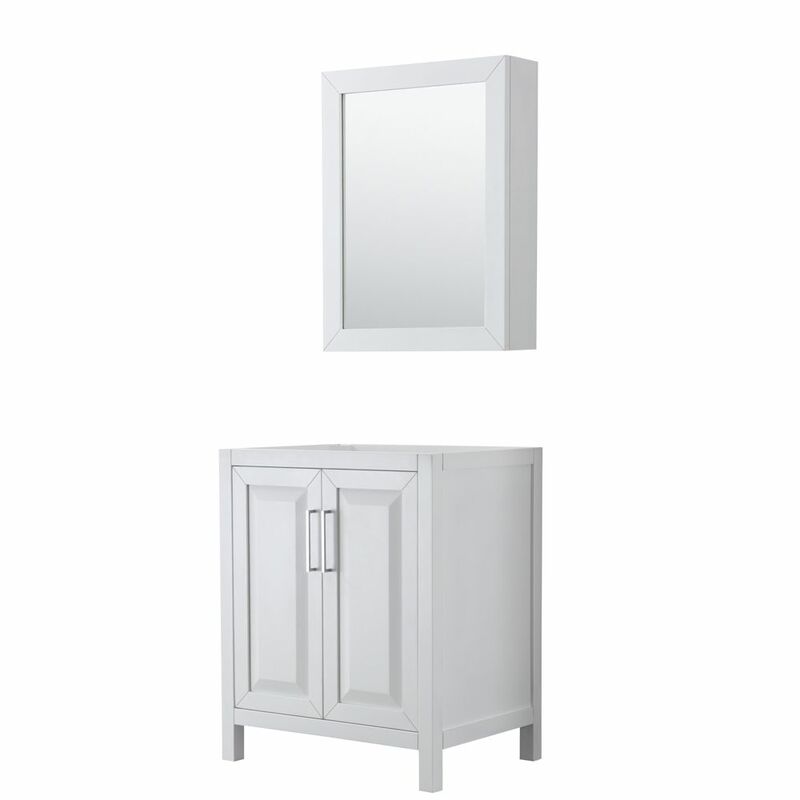 Daria 30 inch Single Vanity in White, No Top, No Sink, Medicine Cabinet The beautiful Daria collection vanities stand out in any bathroom with strong, clean lines and elegant raised panels. There's plenty of cabinet space, the doors are soft-close construction, and chrome detailing completes the look. Daria vanities deftly combine the function of today with a nod to the elegance of the past. It's the new modern classic styling with a contemporary twist.